Mouse as joystick or normal WASD controls may be used. 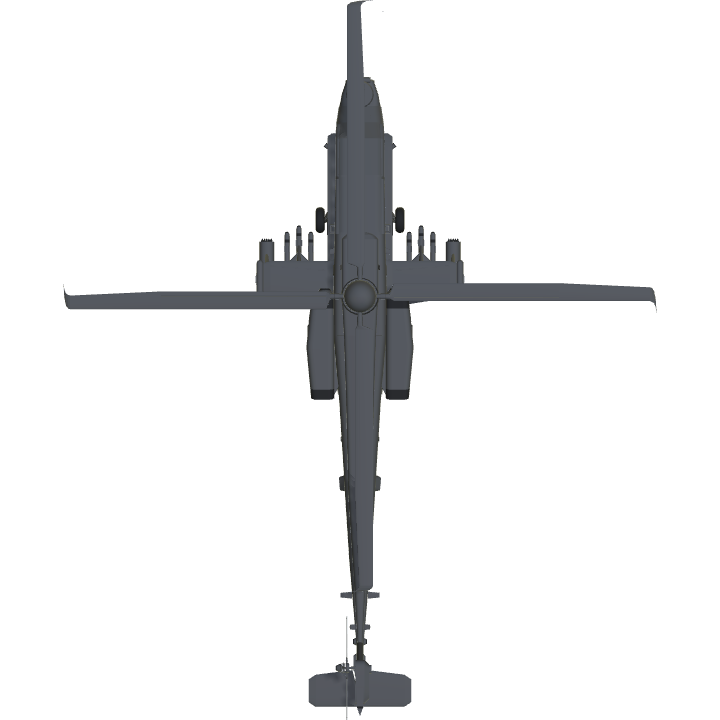 The AH-28 Dyami is a Dosnian twin-turboshaft attack helicopter with a tandem cockpit for a crew of two. It features a variety of advanced sensors and equipment which allows it to operate in all weather conditions and any time during the day or night. It’s armed with one 30mm chain gun and can be fitted with a variety of air-to-ground missiles, air-to-air missiles, and rockets. Its primary operator is the Dosnian Army along with several other nations. It was first drawn up in 1998 when the Dosnian armed forces required a new platform for anti-tank roles. 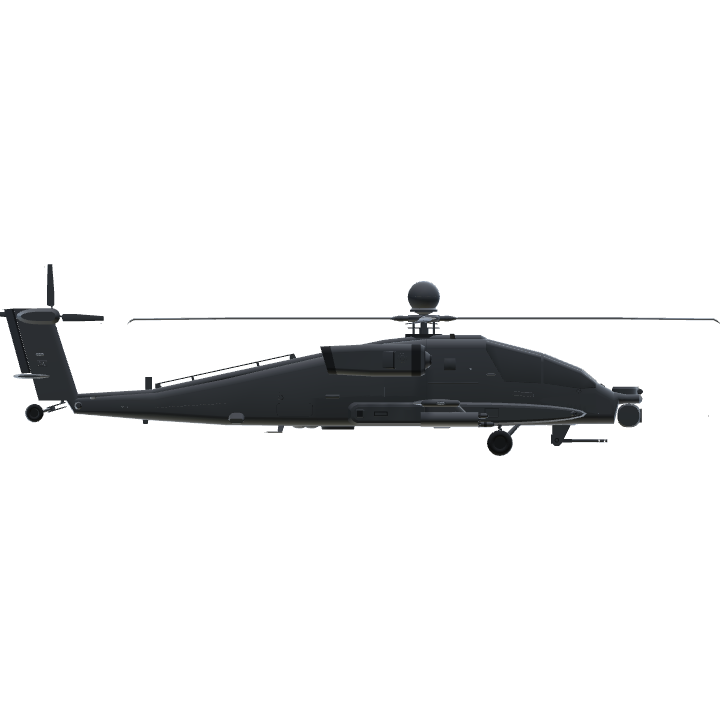 The newest “E” version features more armor, newer, more powerful engines, better infrared and night vision sensors, a better, more advanced glass cockpit, and newer rotor blades which are quieter than that of previous models. Way too much wing area. The most I have for a 10,000-pound helicopter is 50ft. @Dllama4 this isnt really well made. i cant roll, its not very agile and the 30mm system doesnt quite work. i mean im damaging my own heli with aiming? just aiming. pls overwrite it and give it some agillity. and it sits quite low. but the design is very good and it flys very acurate. ;-) work a bit on the mentioned problems and then its a very well made, good and agile heli. @ChickenMcNuggets007 Should I be concerned? @Supermini555 Unfortunately, when I uploaded this helicopter earlier, it was probably my last time playing SP and going on Discord for a while. I've been having problems in school lately and I don't know if I'll get to your tank anytime soon. I suggest that you get someone else to do it for you. I'm very sorry. Tell everyone on Discord so that they don't tag me a bunch, wondering where I've disappeared to. Thanks for the upvote. @Dllama4 My Discord name is LuxCanStepOnMe#7660. You're welcome.